I don't quite follow the idea about making it so incredibly huge. Apart from feeling "epic". What people were pretty annoyed at in Wrath as far as I know of is that we got stuck doing ONE instance all the time. Rather than having instances with 12-15 bosses people would prefer having two different isntances with half each. More like SSC and TK in TBC. Something to wary between for guilds. And that's what they say they plan to do for Cata, which I'm cool with. But you want to go the opposite way. Why? I don't think the problem is the one huge instance syndrome, but rather one huge linear instance syndrome. With SSC, TK, Karazhan we had a lot of freedom as to which order we approached the bosses in (in the T5 ones practically any boss bar the two attunement ones could be worked on at anytime). Moving into WotLK we instead got large instances (similar size to Karazhan) but instead of being easily completable or sectioned we got instances we got saved to easily. Until you actually complete the instance I would say 1/2 are fair (sort a kingslayer lock, if no one has gone further than this section, then you cannot be advanced to a new section, if someone has you can advance but become locked, and if you have then you can remain unlocked to previous sections). 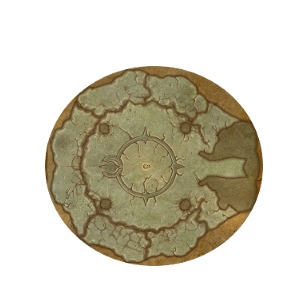 Large instances are thus approachable and let us maintain a theme and epic nature of an instance - Icecrown citadel should be massive, complex, and yet approachable from several angles (Frostmourne room / Pit of Saron, Nerubian Tunnels, Ramparts approach). Different instances are good, but they use up design time (new skins for walls etc), single large instances get repetitive with a single scheme but are interesting. What we lack with current large instances is the ability to flow through them in different ways. The first time we assault it, we need to go through the siege section. Once we down the keepers however and do some daily / associated quests our raid team gets the option to enter via air-drop into the prison (letting us start on the keepers as the first four bosses). Eventually reaching into directly penetrating to Yogg Saron's Prison in one attempt, but doing these insertion methods alters the fights (Yogg would always be +0 if you entered directly, and have additional defences). This also lets you link instances together to reflect their geography within the world. The Nerubian tunnels run under the whole of Icecrown... make a 2nd instance which once you progress far enough into it allows you to enter the inner parts of ICC without doing the outer. I suppose its a thematic thing really. SSC and TK were small installations, a pumping facility and and a crashed spacecraft. Black temple, Icecrown Citadel etc are all massive edifices with huge volume and scope for large interesting interactions. If you think of them as an actual citadel, then your approach matters, while the first sections you clear will be surprised (normal mode) the later ones will be more prepared (more trash, more bosses, more abilities) because you gave them the time to do so. Of course you don't want to push that aspect too far thus sub-instances within the instance itself and approaches. It allows the developers more freedom to link things together in interesting ways. Armoury Guard Room: A fight a bit like Akama, continual add spawns with large must be tanked mini-bosses while you defend explosives that will demolish the armoury. Armoury Lieutenant: Large Undead boss with sub-adds like Sartharion however they must be engaged at the same time. If the armoury is destroyed all three adds will spawn at the start, otherwise they will slowly appear over the course of the fight. Armoury Captain: Death Knight Boss with a single focus type mechanic (a cross between Zul'jin and Blood boil). If the Armoury is destroyed he has reduced capability (3 instead of 5 phases) however is far tougher (dps fight instead of healer), and if the lieutenant is dead he is automatically enraged. Of course the layout of the armoury is such that the approach you should take is Armoury -> Lieutenant -> Captain however if you complete the "storage yards" area first you can assault from the rear, thus killing Captain -> Lieutenant -> Armoury making the fights easier and more interesting. Each sub-area is a separate raid lockout with required pre-cursors for the raid leader. We would have seen a better flow through the expansion. Small instances will often feel disjoint from the main story arc, why are we suddenly purging these trolls when Illidan is over there killing folks we actually like? Linked small raids make a lot more sense to me especially if they are approaching something like ICC which should be a huge fortress. 1) Would you feel better with small discrete instances or with a larger instance that could be approached from multiple angles and styles. 2) Is it the linearity of the current instance design that makes it bad or the lack of variation in scenery. 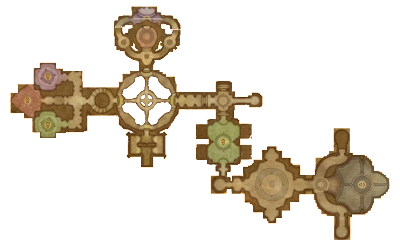 3) How tied into the main story arc should each tier's major dungeon be. 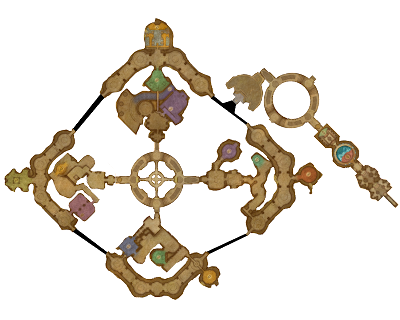 4) Should each tier have a major dungeon? 5) Do you prefer multiple smaller instances for raid lockouts, or single monolithic ones.